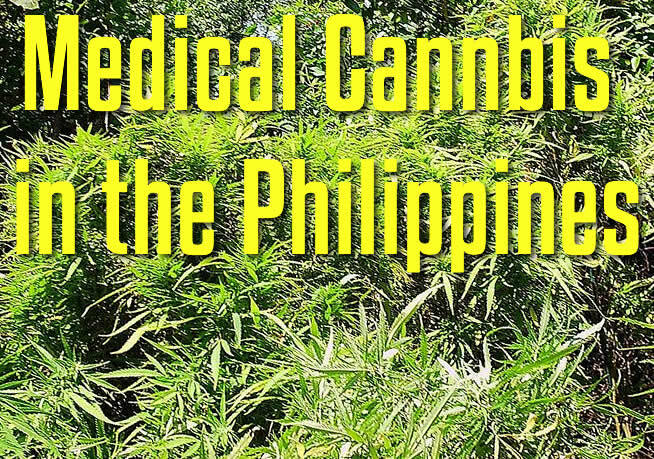 Medical Cannabis Legalization Philippines Is Medical Marijuana Finally Legal in the Philippines? Medical Cannabis Legalization Philippines in under way. Under the Republic Act of the Philippines, 9165 or the Comprehensive Dangerous Drugs Act 2012, cannabis is illegal. The laws forbid anyone from using or selling. If caught, you will face criminal charges that can result to life imprisonment. Last May 26, 2014, Rodolfo Albano, Isabela’s First District Representative filed House Bill 4477 or the Compassionate use of Medical Cannabis Legalization Philippines. After taking a month talking to advocates about cannabis, medical cannabis legalization was drafted. This year Risa Hontiveros, submitted a revised bill 180 or the Philippine Compassionate Medical Cannabis Bill, which also aims for medical cannabis legalization Philippines for medical use, not recreational use. It’s now a Senate Bill, but until now, the President of the Philippines has no reaction with the bill. These are some of the Philippine group of Cannabis advocates, mostly patients, and parents of children in need of medical marijuana. Most of the cannabis users in the Philippines only recognizes two types of cannabis: The sativa and Indica. This is the local landrace cannabis in the Philippines. This cannabis can be found in the North province of the Philippines, In Benguet, Bacolod, Nueva VIscaya, Cagayan De Oro, Cebu, and ETC, it is Cheaper than Indica, it will cost you php500 ($10 USD) for 20grams. This is the common cannabis that the smokers are using. Users usually used sativa during the morning or day time, because they said that taking sativa can add up the energy to your body. It has a lot of CBD content compared to Sativa. This was imported from other countries. You can reproduce it only by planting the imported plant to your backyard. It is expensive. The price of this cannabis range from Php1100-2000 per 1 gram ($20-$40 USD) and the minimum order is 5 grams. It has more CBD content than Sativa. It can add energy to the users. If the user smokes a lot of marijuana, it can sometimes lead to this negative effects. Joint – this is used with numbers describing how many joints they have or use. Cannabis is illegal here in the Philippines and can be punishable by law. Users tend to hide their identity. They are being judged by society and they’re being treated the same way they’re treating drug addicts and criminals. Users find it hard to explain themselves but the reason why they are using cannabis is the same as people in other countries. Due to the drug war by the President of the Republic of the Philippines, users find it hard to buy cannabis. That’s the reason why cannabis prices are increasing in the Philippines. The Pushers or suppliers needs to personally go to the North or to different provinces with a hidden marijuana farm. They must transport the weed to the person distributing to the smaller dealers. Transportation is very dangerous because the Philippines is a very crowded island with many random check points.